This autumn/winter is certainly delivering on the tempting trend front, as our team has found 11 that we are really into. This season, the handbags are particularly alluring and we have identified six bag trends that are going to have a big impact throughout the rest of the year. 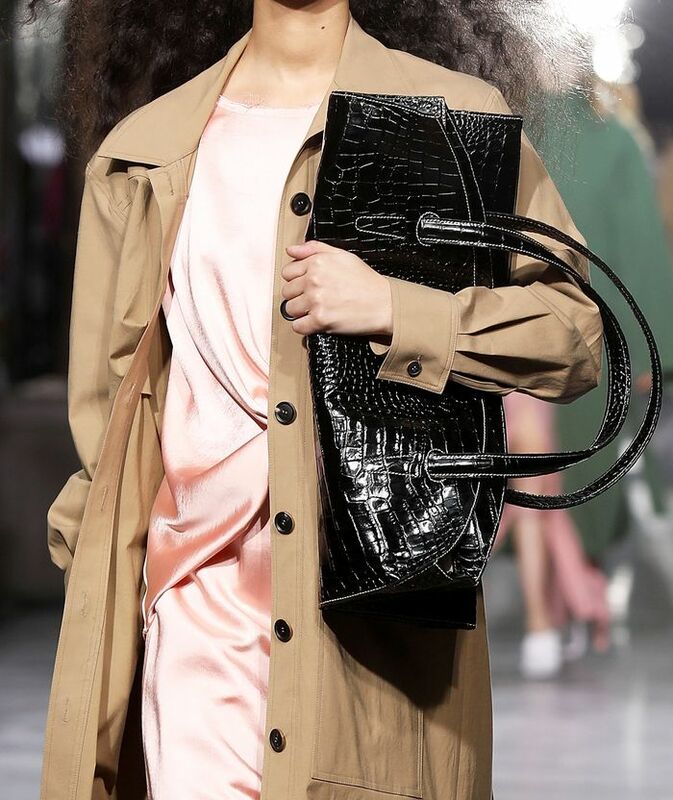 The likes of Chloé, Dior and Loewe have a new class of style names to get acquainted with, while the contemporary designers such as Rejina Pyo, Staud and Nanushka are also proving to be a powerful force in the bag world. Animal print has also made its way into the accessories world, however, not all the new-season bags are so loud. Vintage-style mock crocs, practical silhouettes and leather saddle bags are also having a moment this autumn. Keep scrolling to see and shop our edit of the six key handbag trends for 2018. It's all about croc-effect handbags for autumn, and Net-a-Porter's Lisa Aiken said in her seasonal trend report that this is partly because it's Instagram-friendly. This is being led by contemporary designers such as Trademark, Nanushka and Rejina Pyo, however, the texture makes any type of bag look more expensive and special. Powder blue is one of the key colours for autumn, and this is coming through in the handbag department too. Jacquemus created mini bags and larger totes in a bluebell shade. For the past year, the trending bags have doubled as a game of jigsaw, as they are so tiny that fitting a credit card, house keys and a phone inside of it is like a logic test. However, this season, things are getting a lot more practical with the return of XXL carryall totes. 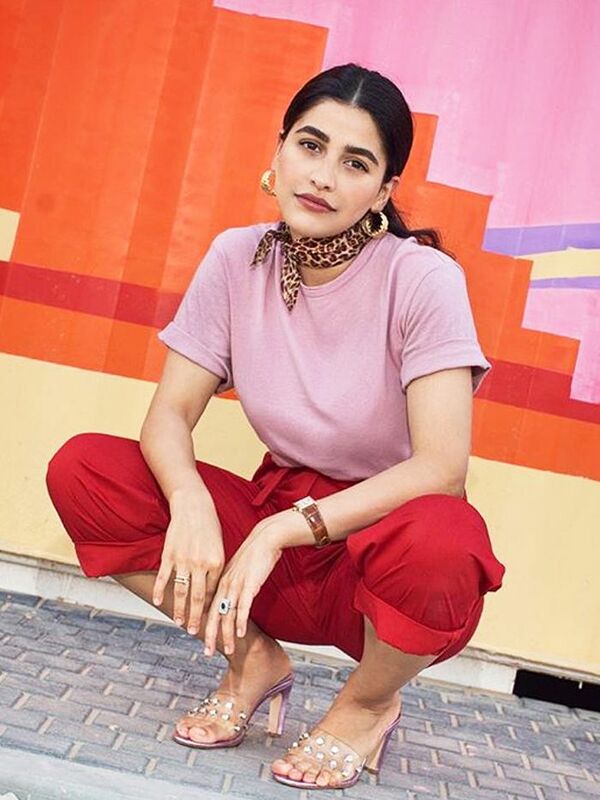 With the likes of Loewe and Jacquemus leading a more minimalist charge here, it's a chic trend that is very likely to stick. The autumn/winter 2018 runways looked like something out of a David Attenborough documentary, as every animal print you can think of is being championed this season. Victoria Beckham, who is usually all about sleek, minimal accessories, created the above leopard tote. Balenciaga even had dogs and cats on its totes. There is a lot of hype around autumn's saddle bags already thanks to Dior's mighty influencer campaign, which saw dozens of Instagrammers carrying the rereleased Saddle Bag. Chloé's hero bag for the season (the Tess) is also a saddle silhouette and comes in lots of colours. It's not just Carrie Bradshaw's strappy sandals that are making a comeback, as the A/W 18 collections included several bags that looked like they came straight from her collection. Think brash logo prints, vintage rereleased styles (like the Dior saddle), and mini glitzy embellished bags (like the Miu Miu party bag above). Next up, see our guide to all the biggest trends for A/W 18.